Doctor in Art History by the Autonomous University of Barcelona (2001). Master in Cultural Management by the Institut Ortega i Gasset (Universitat Complutense) (2005). She is currently the Director of the Design Theory and Analysis Department of ESDi. 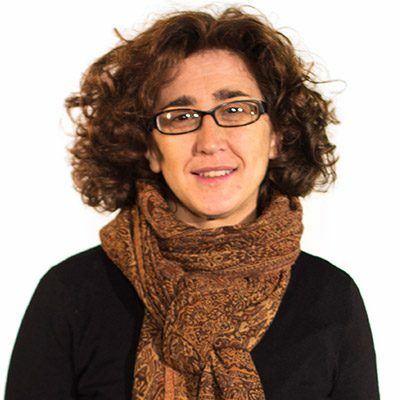 She has been a main and an adjunct researcher in several competitive research projects and has taught in different universities within the Spanish State, besides working as a cultural manager for national and international institutions such as the ICOM (International Council of Museums). Since 2011 she has been a part of the Scientific Counsellors Comite of CARE-Hispania, International Research Center for Late Antiquity and Middle Ages. Her research line has been the iconography and iconology of the image and its functional relation to architecture, looking into its conceptual significance with the goal of understanding works in the cultural and social context in which they were produced. She is the author of several books, book chapters and articles in indexed research magazines, as well as a speaker in national and international congresses.